Onigiri: Japanese Rice Balls | Mealtime | Kids VT - small people, big ideas! I've been packing school lunches for 10 years, since my daughter started kindergarten. 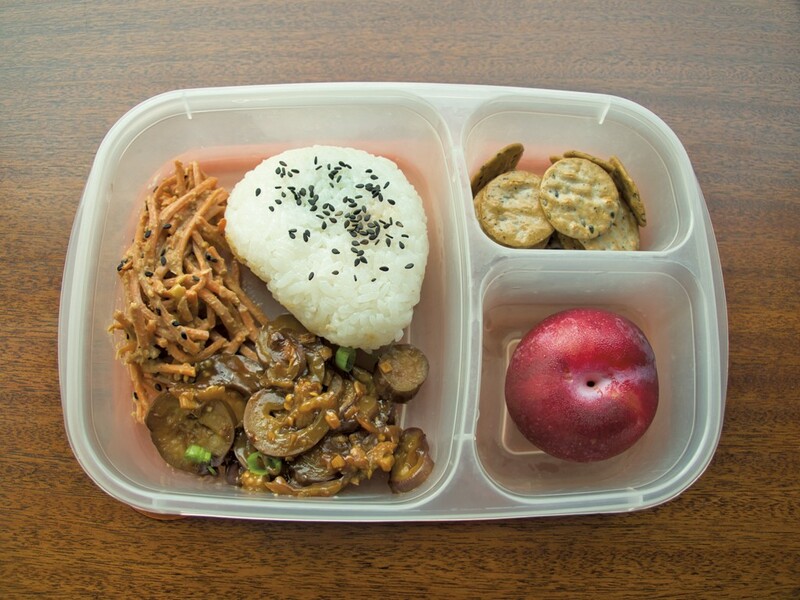 Early on, I found an online community of bloggers who wrote about how to create bento — the name for a Japanese-style lunch packed in a multi-compartment box — and bought all sorts of cute boxes, tools and cookie cutters to aid in the process. In my kids' elementary school days, I would pack things like heart-shaped sandwiches and fruit on little skewers. I went as far as making tortilla art to celebrate Roald Dahl's birthday, painstakingly recreating characters from our favorite books, like Fantastic Mr. Fox and Matilda, using toothpicks and food coloring to make designs on the tortillas. Now that my son is 12 and my daughter is 15, my lunches have gotten decidedly less "cute." Recently, after I'd purged most of my bento supplies in favor of more practical and utilitarian lunch boxes, my daughter developed an appreciation for Japanese culture. She now yearns for the days of star-shaped hard-boiled eggs and clementines cut to look like flowers. She just started her sophomore year in high school, so I've told her that if she wants cute bentos, she can pack them herself. Since there are many days when I can hardly drag her out of bed, I don't foresee this happening. What I am willing to do, however, is help her make fun food that we can pack in her lunches. Enter onigiri. 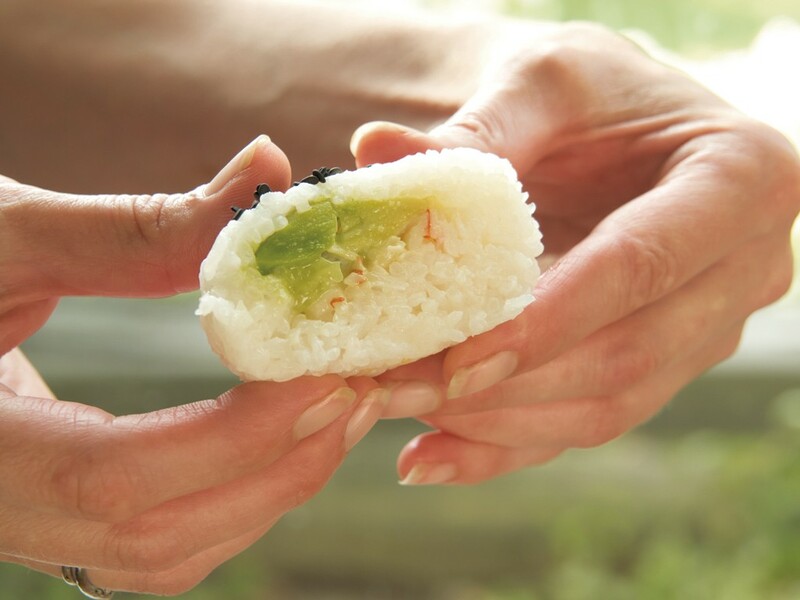 These stuffed balls of sticky sushi rice are the perfect lunch-box item. You can even make them a day or two ahead of time and wrap them tightly in plastic wrap to keep them from drying out. I decided to fill my creations with sushi-inspired fillings. I made both a California roll onigiri, and a smoked salmon onigiri. I have seen some recipes that call for using cooked rice without the added vinegar and sugar that make it into sticky rice, but I decided to use those extra ingredients because they add a delightful flavor and help keep the onigiri together. There are so many ways to customize these rice balls. Stuff them with tuna salad, pickled vegetables or leftover fried chicken for a crunch. I've even seen one stuffed with a boiled quail egg! They can also be rolled in seasoning like Japanese furikake or sesame seeds; fried lightly in butter to make them a little crispy; or wrapped with nori, the Japanese name for thin sheets of dried seaweed. 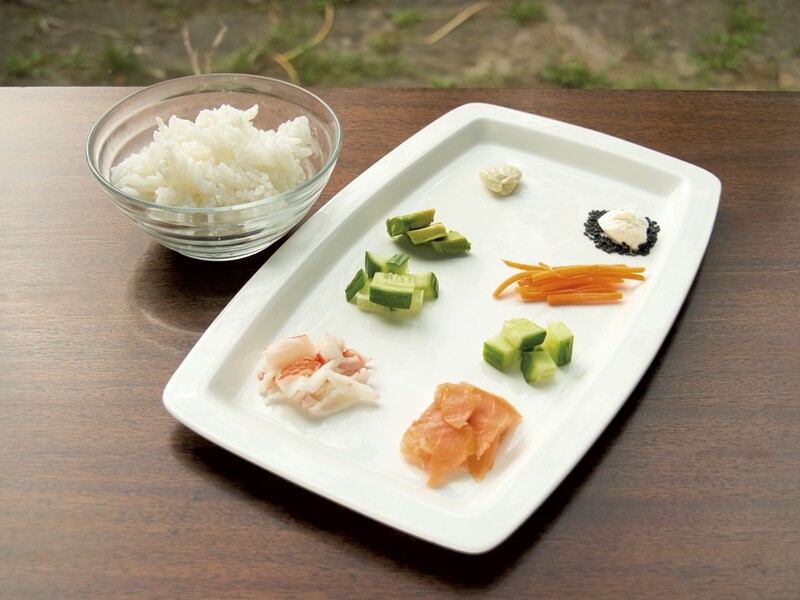 Use special cutters or craft punches to make fun designs with the nori to stick on the onigiri. We had these for dinner with a delicious Japanese carrot-sesame salad, and some Japanese eggplant sautéed with scallions. Those leftovers would make great lunches as well. Now, to see if my teenager will actually start packing her own bento. In a fine sieve, rinse the rice with cold water until the water runs clear. Put rice in a small pot (there shouldn't be a lot of extra room) and add 2 cups cold water. Bring to a low rolling boil, then reduce heat to a simmer, cover tightly and cook for 12 minutes. Turn off the heat and leave covered for an additional 10 minutes. Scoop rice into a large glass or plastic bowl (don't use metal, as it may create a metallic flavor when you add the vinegar). Cool for about 10 minutes, fluffing with a wooden spoon or silicone spatula occasionally. Combine the vinegar, sugar, salt and mirin in a small bowl or measuring cup. Pour over the cooled rice, and stir with a wooden spoon or silicone spatula until well-coated and sticky. Cool completely. Scoop out about 1/2 cup of sticky rice onto a sheet of plastic wrap. Dip your fingers into a bowl of cool water (to keep the rice from sticking to them!) and flatten the rice into a disc with a small indentation in the center. Put desired fillings into the center, using no more than 2 tablespoons per ball. Using the plastic wrap, fold the rice over the filling to make a ball. Wrap it tightly and form into desired shape (the traditional shape is a triangle), making sure that the filling is not exposed. Press firmly to be sure the rice sticks together. Remove the plastic wrap, and place the onigiri on a serving platter (or keep in the plastic wrap if you are not serving right away). Sprinkle with sesame seeds if desired.